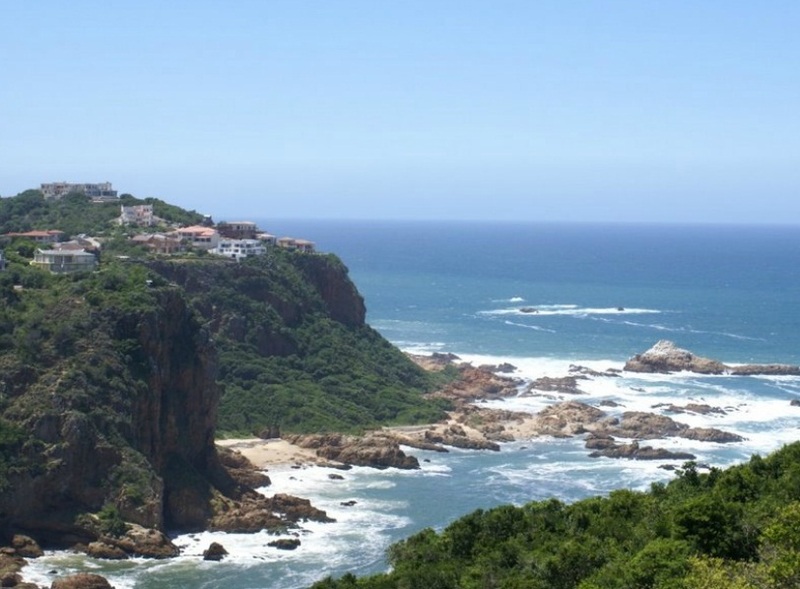 If there is such a thing, Knysna is the heart of the Garden Route. 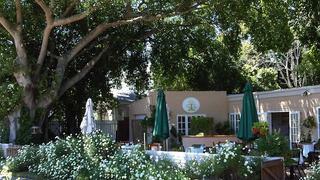 This medium-sized town on the banks of the usually placid and always beautiful Knysna Lagoon is a real tourist haven. 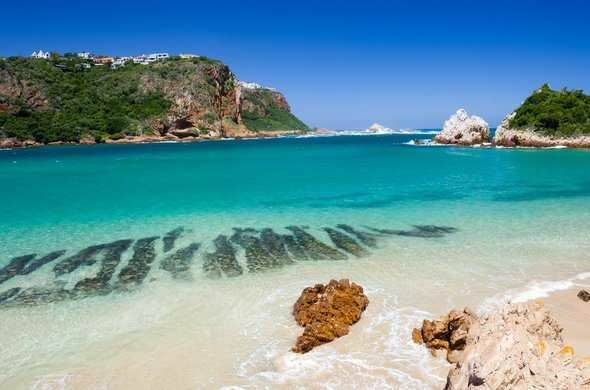 The lagoon, which is guarded from the sea by two enormous, rugged, sandstone cliffs, known as The Heads, is a fabulous playground as well as being the source of the cultivated oysters for which Knysna is famed. The Eastern Head is quite developed with houses, guest houses, a dive shop and a restaurant in the most spectacular position. The Western Head, which is reached by scenic boat trip or a short paddle, is a private nature reserve with less physical infrastructure but loads of tourist activities. Tractor tours, abseiling and quad bike tours are all on offer, and there is a restaurant with a view to rival the one on the Eastern Head. 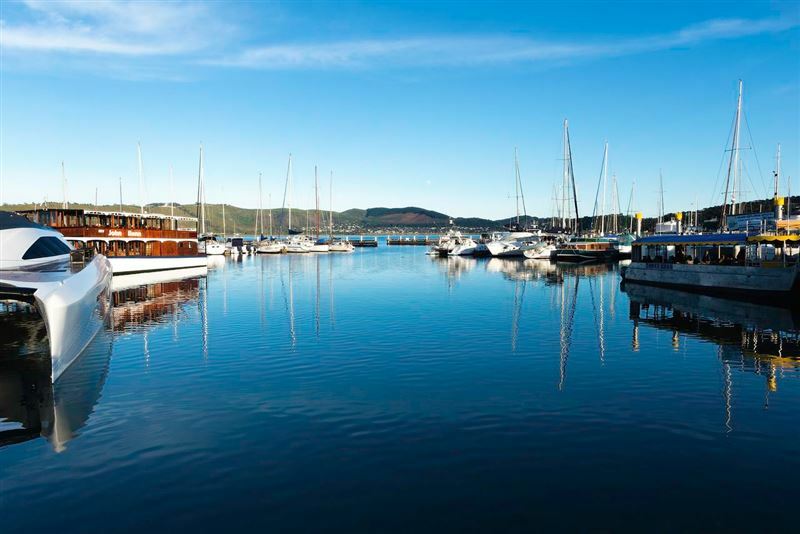 There is excellent diving in Knysna, both in the lagoon and outside in the open sea. One of the more interesting dives, a wreck right in the channel in The Heads, is only to be explored at slack tide, and then by relatively strong divers. The N2 runs through the town in a freakishly narrow two-lane road that, at peak holiday times, creates traffic jams of note. Other than that, though, Knysna is mega-laid back. 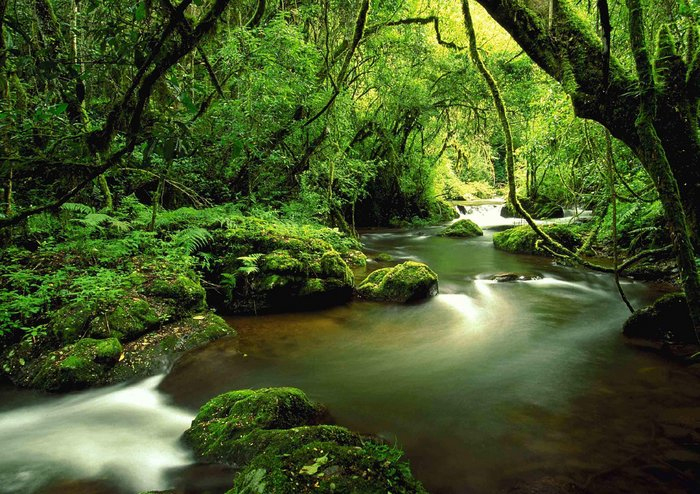 It’s surrounded by wonderful indigenous forests with historical gold mines to explore, wonderful hikes and some of the most fabulous mountain biking in the world. No exaggeration. The ubiquitous Knysna loerie is a beautiful green and red bird that hides out in the forest, occasionally showing its scarlet underwings as it takes flight. Even more elusive and beautiful is the iconic Narina trogon, which is spotted relatively often. 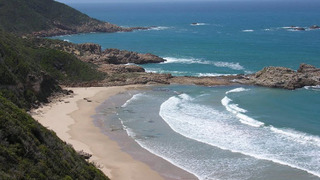 Although there are no real beaches actually within the town, the nearby Noetzie and Brenton Beaches are spectacular. Brenton, in particular, is a great beach for walking as it stretches 6km to Buffalo Bay, where a wonderful horse trail operator offers the exhilarating experience of cantering along the beach with the wind in your hair. The surfing is good, too. Knysna has two awesome golfing estates, one on the Western Head on a cliff high above the crashing Atlantic and another deeper in the mountains with views over the lagoon and ocean. The public Knysna Golf Club also has a more than reasonable course and there’s even a mashie course for a real quick fix, so keen golfers will never get bored. And – as Knysna is such a gorgeous place – the partners and families of golfers won’t get bored, either. Knysna is filled with creative crafters, talented artists and skilled artisans of all types so there are mega opportunities for retail therapy. Lots of live music venues, great restaurants and South Africa’s first micro-brewery all contribute to the sybaritic nature of the town. In July, the Knysna Oyster Festival is a celebration of seafood, wine and far more active pleasures, with a wonderful mountain bike race, a forest marathon and loads of other activities. Towards the end of May, the Pink Loerie Festival is a bird of a somewhat different feather. Although it’s primarily a gay festival, with outrageous costumes and wild parties, it’s enjoyed as much by straight (some surprisingly so) locals and visitors.